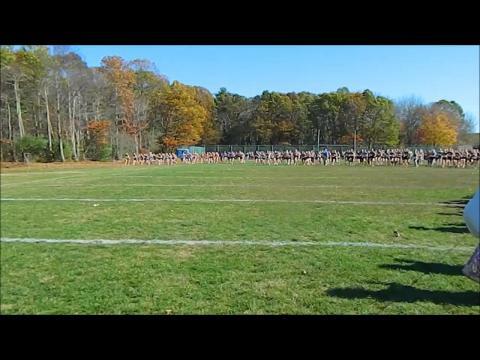 Aside from the state meet next weekend, Saturday’s class championships is the biggest day of the season for R.I. high schools with every team from the state converging at Ponaganset High, ready to attack 3.1 miles of real estate on the Chieftains’ covered-bridge trail. Who are the teams and individuals to watch in each class? Here’s what we consider the ones to watch. For cross country, the postseason begins this weekend on Ponaganset's "covered-bridge" trail with the class championships. The Reservation will be the site of a combined six class meets (boys and girls) with Class C starting things off at 10 a.m. and Class B concluding the afternoon with the last race set for 2 p.m. 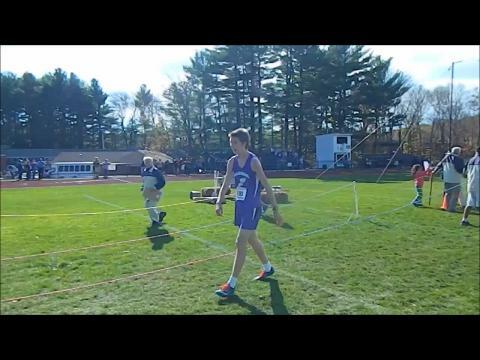 In between, the junior varsity runners will partake in their annual state meet. With a predicted sweep of the first three placements, La Salle Academy should breeze to another Class A title this weekend. According to our Virtual Meet, the Rams should be untouchable with a 28-73 decision over runner-up Cumberland. South Kingstown occupies third with 94 points. Rhode Island athletes prep for Nov. 2 state meet with strong performances at class championships. La Salle Academy and East Greenwich sweep Class A and Class C meets, respectively. 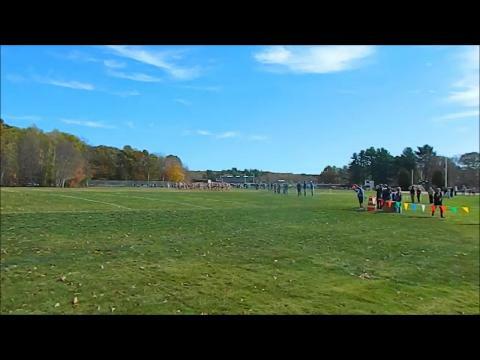 Smithfield takes girls' Class B meet, while Barrington tops the field in the boys' Class B meet. 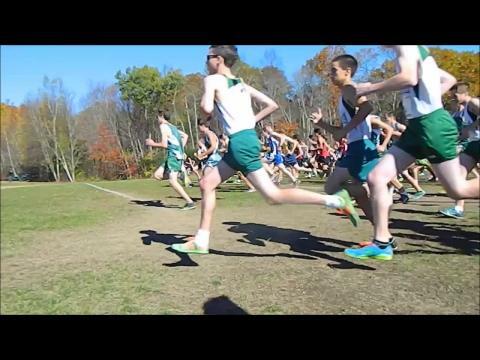 This one could be a battle between East Greenwich and Burrillville with the top-ranked Avengers holding a 17-point advantage over the Broncos, according to our Virtual Meet. 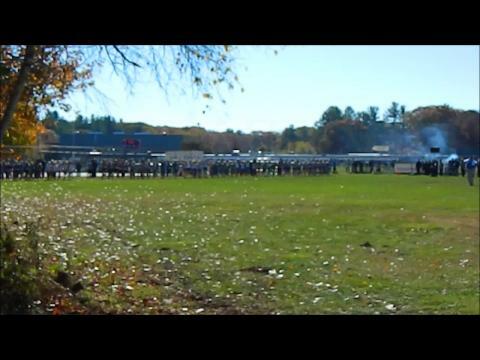 Mount St. Charles and Scituate are ranked third and fourth. Narragansett junior Marissa McPhillips owns the fastest time at 18:46.25. 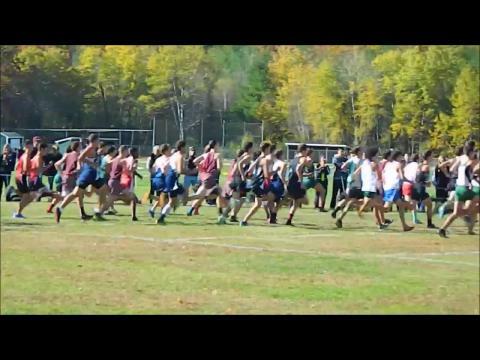 Aside from the state meet next weekend, Saturday’s is the biggest day of the season for R.I. high schools with every team from the state converging at Ponaganset High, ready to attack 3.1 miles of real estate on the Chieftains’ covered-bridge trail for the annual class championships. To no one's surprise, La Salle Academy is an overwhelming favorite to win this Saturday's Class A meet. According to our Virtual Meet, the Rams are an 18-52 winner over second--place Hendricken. Cumberland is third with 74 points. Barrington appears to be the clear-cut favorite in the Class B race. According to our Virtual Meet, the real battle will occur for second and third with Toll Gate and Portsmouth separated by a mere point. 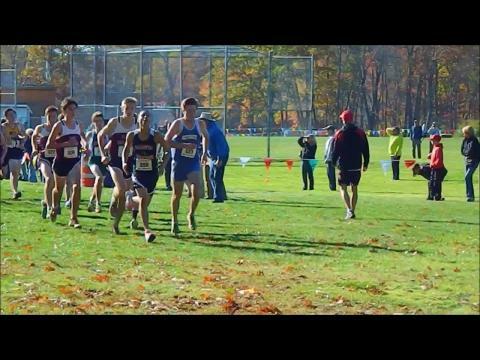 With all seven of its varsity runners among the top 15, East Greenwich is the odds on favorite to retain its Class C crown, according to our Virtual Meet. Scituate and Smithfield look solid for the second and third spots. With four of their runners ranked among the top eight, the Smithfield girls look ready to win another Class B plaque with a 35-54 win over Westerly. Lincoln and Bay View are seperated by a single point for the third and fourth positions.